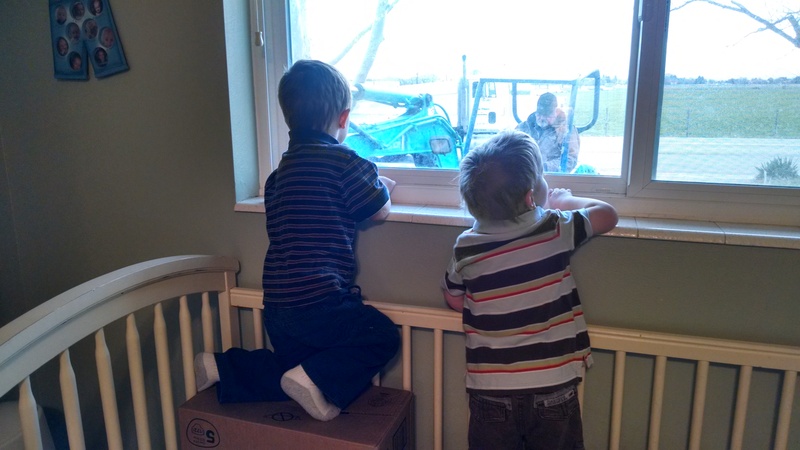 The boys loved watching the excavator from the windows. And then we had to hire a cement cutter (who cost WAY more than we wanted). 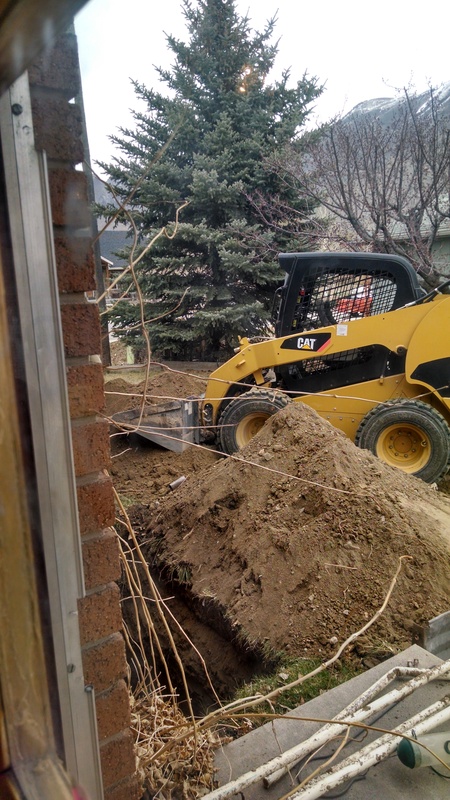 Then we had to break up the cement block that came out of the house (because the expensive cement cutter was only a cutter not a measure-er or a jack-hammer-er or a hauler away-er). After all that we finally got the new windows. And I do have to say they were worth all of the trouble. I LOVE them! They let in so much light and they are so white and pretty! Thanks Dad! New windows in the office and game room. 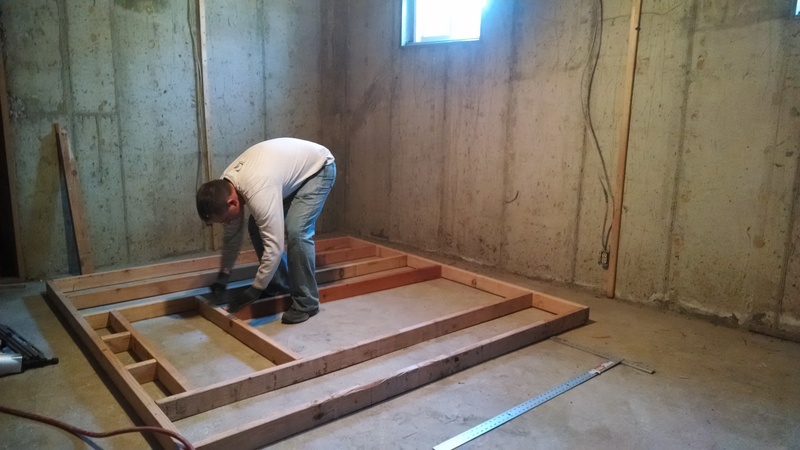 Our second unplanned project was framing. 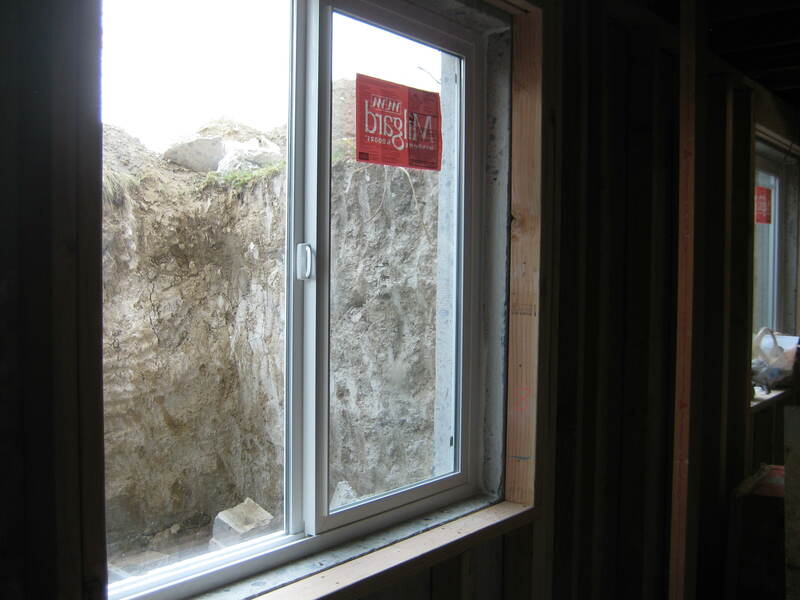 When we pulled the wall paneling down, we discovered that the exterior walls weren’t framed with 2x4s. 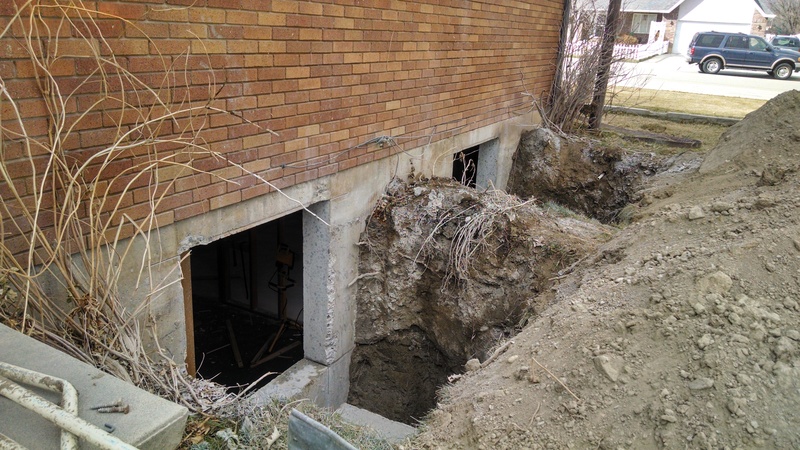 We had known that we’d be framing in a closet and a couple of new doors but we weren’t expecting to do the whole basement. 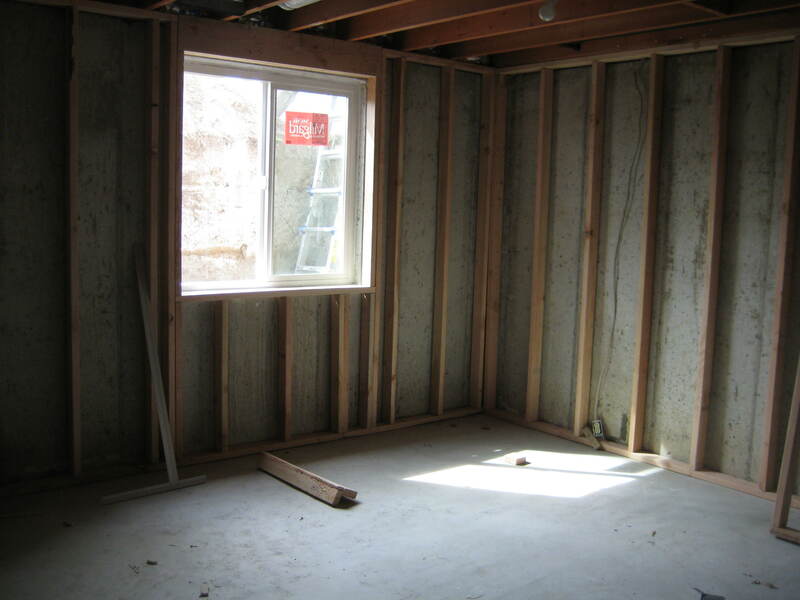 We could have just put sheet rock over the top of the existing 1x2s but we wanted to install insulation so we decided to frame. We aren’t quite done. 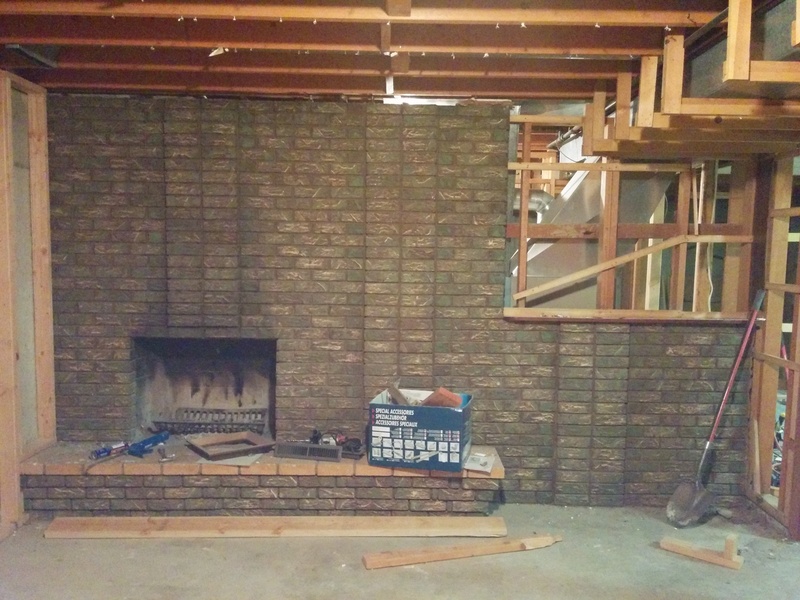 I decided that I wanted to cover this *beautiful green-brick* fireplace as well. So we are in the middle of framing over the brick and we still need to do the closet and the doors… So many detours. By the way, I got my inspiration for my new fireplace from The Lettered Cottage. I’m excited to see how it turns out.